Detectives are investigating an Assault that occurred on November 2. Uniondale, NY - November 3, 2013 - First Squad detectives are investigating an Assault that occurred on November 2, 2013 at 11:30 pm in Uniondale. According to detectives, after arranging a meeting to sell Marijuana from his car at Jaffa Ave near Uniondale Avenue, the 31 year old male victim and his 24 year old girlfriend were surprised by two unknown males who unexpectedly entered the rear of the vehicle and demanded “Everything you got”. A gunshot was heard and the male victim, who was in the drivers seat, realized that he had been shot in the back. Both male subjects, who were only described as wearing gray hoodies, were last seen fleeing southbound on Matteline Street with no reported proceeds. 911 was contacted and the victim was transported to a local hospital where he was admitted for treatment of his gunshot wound. Detectives request anyone with information regarding this Assault to call Crime Stoppers at 1 -880-244-TIPS. All callers will remain anonymous. 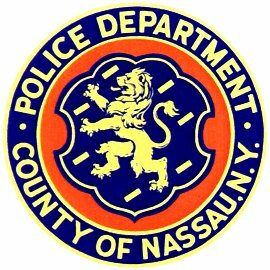 Subject: LongIsland.com - Your Name sent you Article details of "NCPD: Investigating Assault Following Drug Deal"